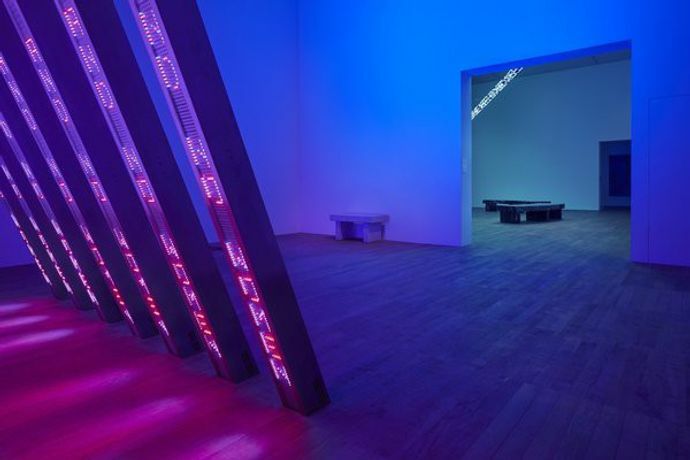 American artist Jenny Holzer presents statements that can provoke strong responses. Whether encountered on city streets or in art galleries, Holzer's work asks us to consider the words and messages that surround us. Her art takes many forms, including stone benches, projections, signs, posters, paintings, plaques and textiles. Words are central to her work, whether pasted on a wall, flickering from an electronic sign, carved in granite or stitched in wool.